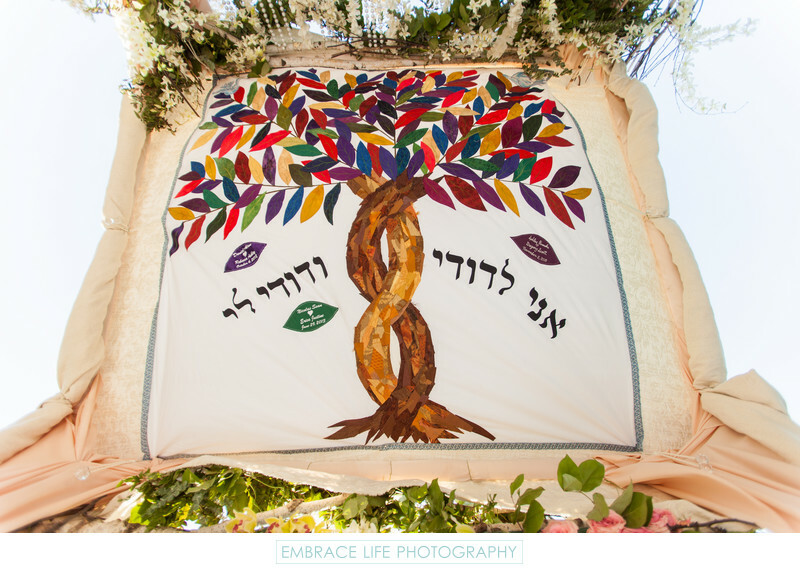 This is a picture from below the chuppah showing the tallis (tallit), the Jewish prayer shawl, which forms the roof. This tallit belongs to the groom's family and was also used in the wedding ceremonies of the groom's brothers. Each of the falling leaves has the names and dates of the couples' weddings.